The Queen of Soul has died at 76. 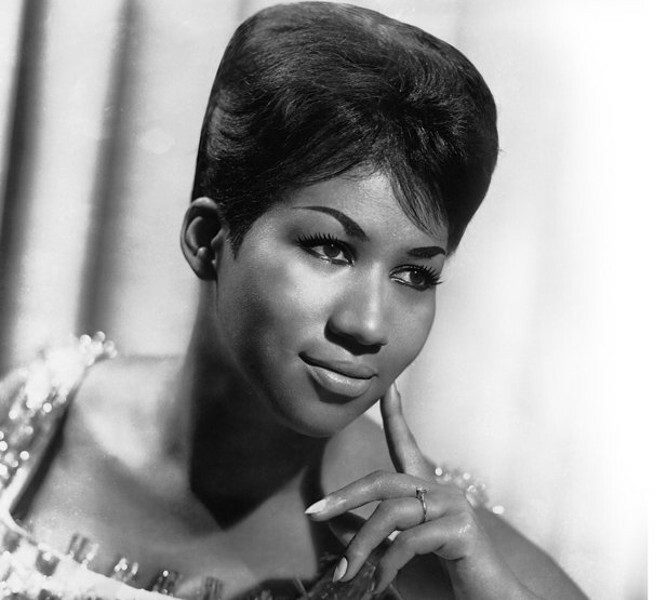 Rest in Peace: Aretha Louise Franklin -- March 25, 1942 – Aug. 16, 2018. It's been coming all week. We knew the undisputed Queen of Soul, Aretha Franklin, was in hospice, so there's been some time to prepare. A steady stream of fans have posted memories, praise and well wishes (I recommend the New Yorker article "Aretha Franklin's American Soul" by David Remnick for more background on her life). She died today from pancreatic cancer at the age of 76, surrounded by loved ones. Fans of her transcendent, once-a-century talent are mourning -- and if you're like me and bought tickets to see her in Virginia in the past, only to have the concert cancelled, it stings a little extra. Of all the legendary performers on my bucket list to witness live, she ruled alone at the top. But we do have those essential recordings (if you're new, start with "Amazing Grace" and "I Never Loved a Man (The Way I Loved You)") plus a lot of video out there. And of course, there are the shining talents that she has inspired and will continue to inspire. But there will never be another quite like her. In a way, it's hard to be too sad: This is a glorious day. Ms. Franklin was a person of faith and she's now set free. One can easily imagine that glorious voice, that soul-stirring spirit, alighting anew in the heavens, or across whatever timeless plain awaits. As my friend Amanda Petrusich summed up for the New Yorker today, "To listen to Aretha Franklin now is to hear everything—everything that came before her, each strain of American blues and jazz and gospel and soul, all the musical traditions people leaned on to stay alive, and everything that exists now, all the singers she gave license to, everyone she taught. Her death is in all of us, as her songs are in all of us. She is as immortal as can be."